With a pack of multi-colored craft foam, you have all you need to create a special, personalized (and inexpensive!) 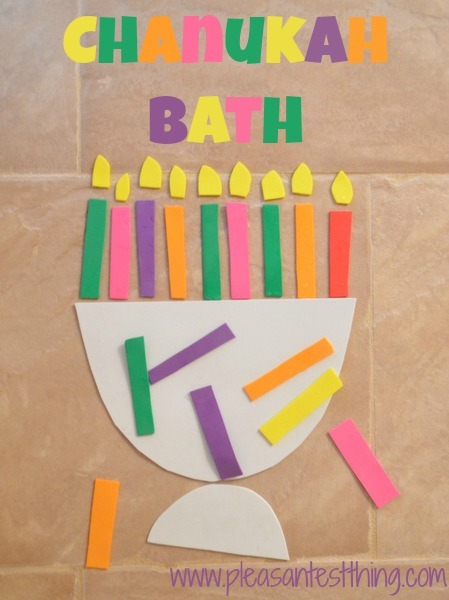 Hanukkah bath! The foam will stick to tubs and walls when it is wet. Kids will love sticking the foam to the walls and then repositioning it, over and over again. 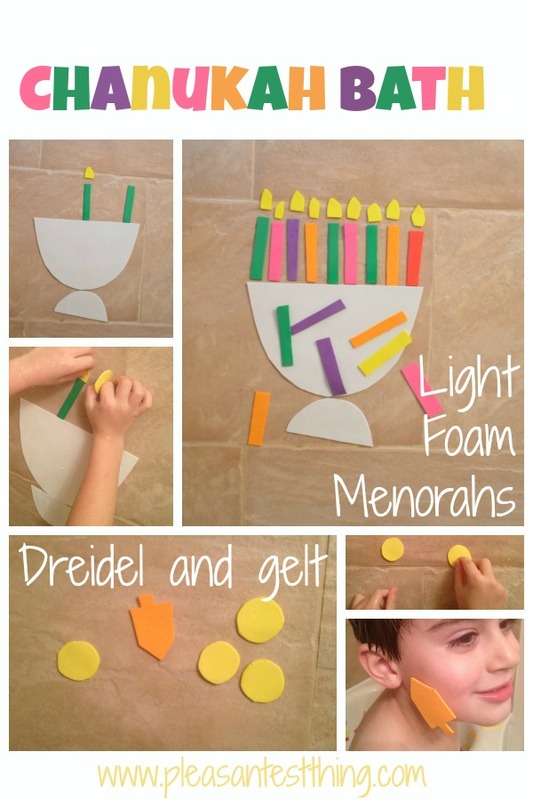 For our Chanukah themed bath, I created a menorah with candles, and a dreidel with gelt. Then I threw it in the tub and let the boys play. Cutting the foam stickers was pretty easy, but it reaped big rewards- the boys had a blast in the tub, playing with their Chanukah set . A few words of caution- Be careful to watch little ones with the foam, to make sure it stays away from their mouths. Also, as with any bath, all children should be supervised by an adult at all times. For more Chanukah ideas and inspiration, check out my Chanukah Pinterest board. For amazing Christmas and winter bath ideas, head over to Bath Activites For Kids.